We have obtained an exclusive first look at a new Huawei poster for its upcoming smartphone with a hole in the screen. 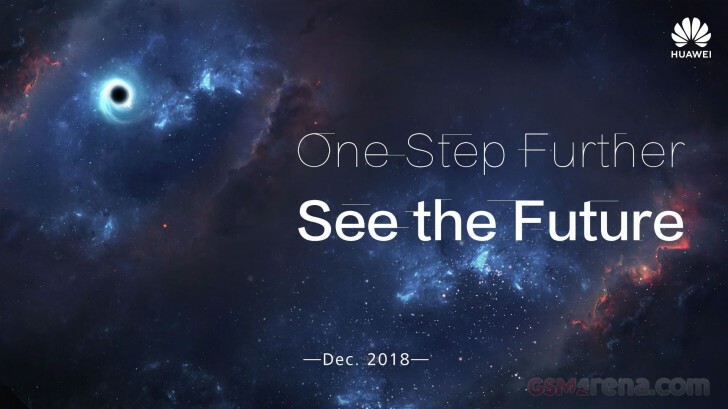 The poster urges us to take One Step Further to See the Future in December. It also confirms Huawei’s plans to announce its first phone with a hole in the screen next month. Huawei will desperately try and beat Samsung to its Infinity-O phone launch. There have been sightings of such as device – first in the wild and later through a Huawei nova 4 render.